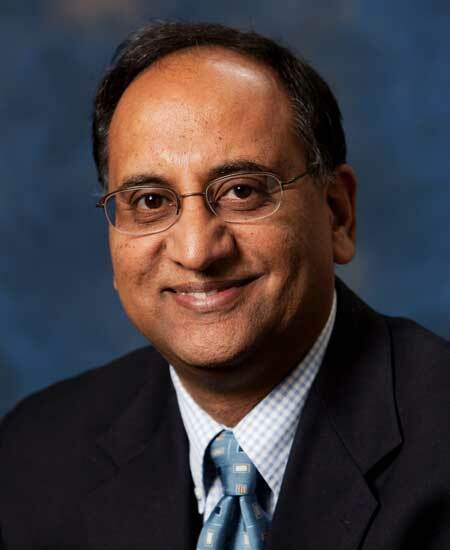 D. Sudharshan is currently the James and Diane Stuckert BS/MBA Endowed Chair and Professor at the Gatton College of Business and Economics, University of Kentucky. Previously, he had served as Dean of the Gatton College for eight years. Prior to coming to the University of Kentucky he was a Professor of Business Administration at the University of Illinois at Urbana-Champaign and also has held the post of Associate Dean, Planning at Illinois. Sudharshan's research interests are in the areas of marketing strategy, new product and service development, and marketing technology management. He has served or serves on the editorial boards of the Journal of Marketing, the Journal of the Academy of Marketing Science, The Journal of Market Focused Management and Review of Marketing Science. His articles have appeared in various journals including Journal of Service Research, Marketing Science, Management Science, Journal of Marketing, European Journal of Operation Research, Journal of Marketing Research and Strategic Management Journal. Several of his papers published in refereed journals have won awards. He has edited/authored several books on Marketing related topics. MBA students and alumni and the staff of the executive development center, at the University of Illinois at Urbana-Champaign, have recognized him for excellence in teaching. He has considerable international executive teaching experience in countries such as Poland, Kenya, China, Greece and Austria and has presented seminars in Belgium, Germany, Holland, India, Italy, U.K., Slovakia, and Taiwan. He has served as a consultant on general management, industrial marketing, high technology marketing and marketing research methodology and was a member of the Academic Advisory Committee for the Governor of the state of Illinois' strategic planning office, 1999-2003 and also served as a member of the Investment Committee for the Kentucky Natural Products Fund. At the Gatton College, during his tenure, a path breaking MBA curriculum and exciting undergraduate programming such as Project Destiny, Global Scholars Program and Scholars in Engineering and Management have been launched. A new concept in undergraduate service called the Undergraduate Resource Center has been developed and implemented. A new identity and branding project has lead to a branding and communications thrust. His undergraduate degree is in Electrical Engineering from the Indian Institute of Technology, Madras, India and his Ph.D. is from the University of Pittsburgh, Pittsburgh, Pa.
Sudharshan and his wife Nalini live in Jessamine County, Kentucky, USA. They have three adult children.